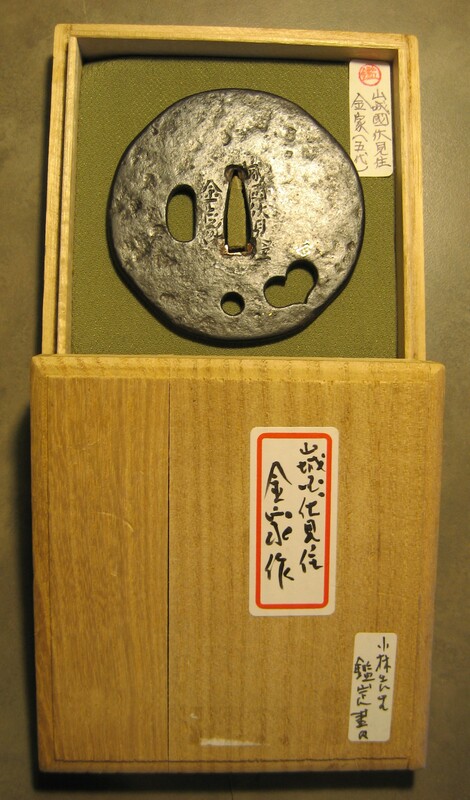 Kaneiye Tsuba with Nihon Tosougu Kenkyukai appraisal. 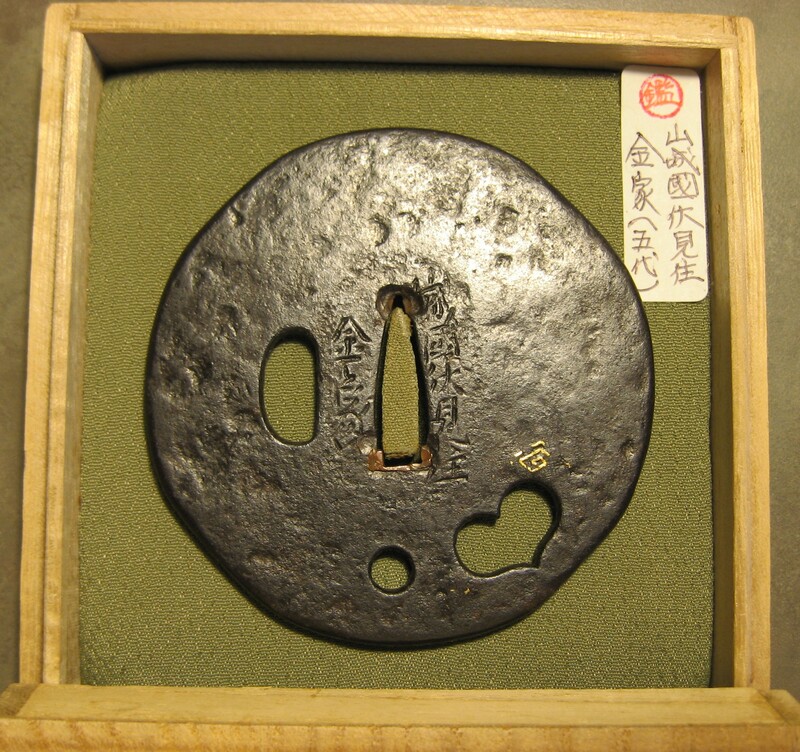 This fine iron tsuba for a Japanese Katana has a slight octagon/circular form. 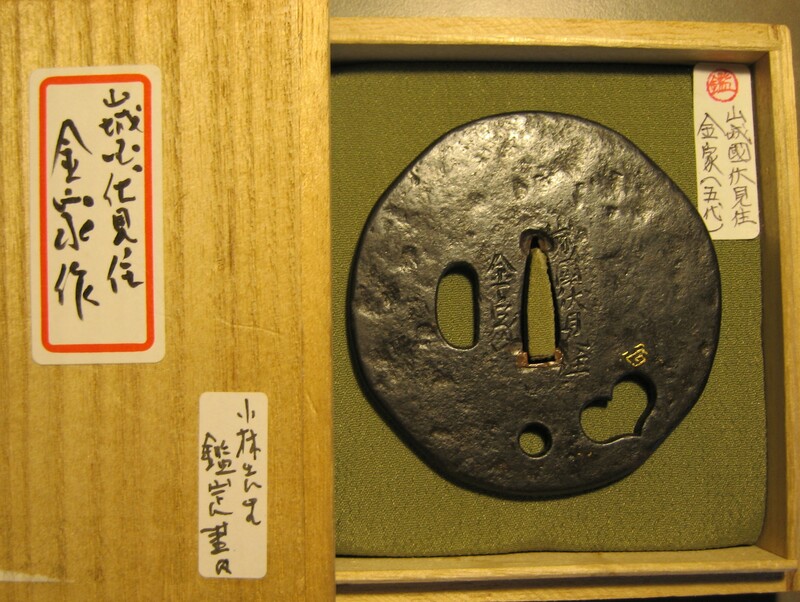 With punch marks and Sekigane in the Nakago Ana, a look of great strength and a well patined surface. 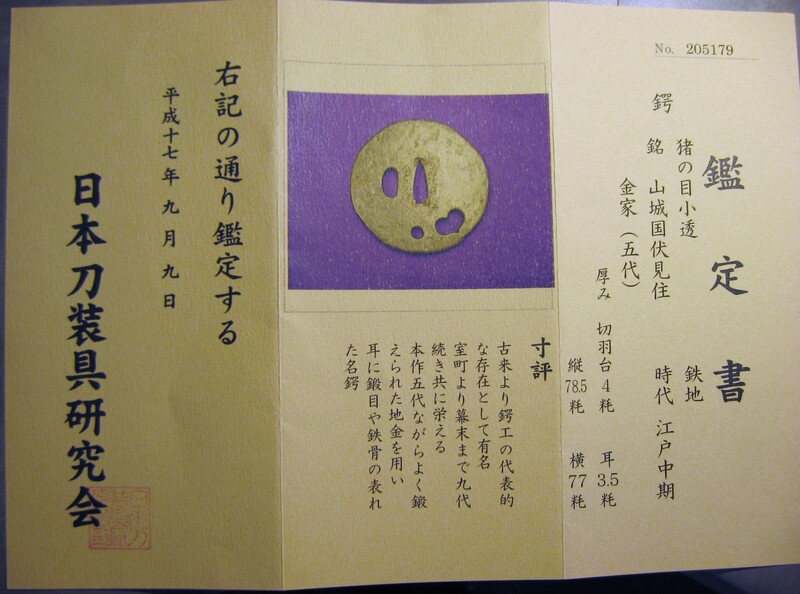 It is provided with the Kozuka Hitsu Ana. Nunome Ko-sukashi and one Udenuki Ana. 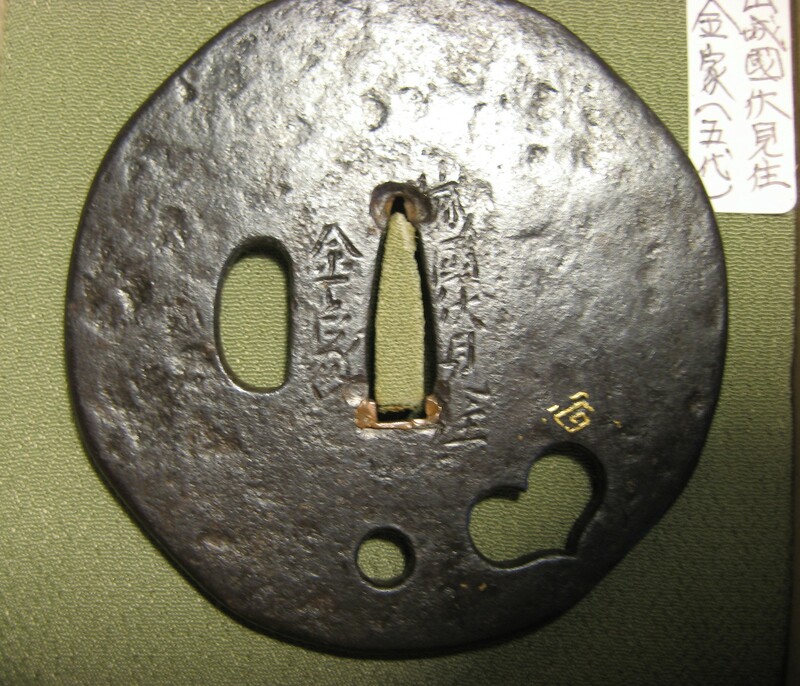 Tsuchime-ji surface appears as a stone face. Trace of Kin-zogan near sukashi.